Water makes up 70% of the Earth’s surface. It is a vital necessity to life. Nothing can survive without it. Not even the Earth itself. However, due to increasing human activities, the water, along with everything else on Earth, is becoming more and more polluted. Carbon Dioxide emissions are still rising, landfills continue to grow, and waste is constantly contaminating our waters. But it is more than just waste. There are many causes that contribute to water pollution. Here are all of the water pollution facts, causes and effects and even how we can help reverse the effects and prevent any further pollution. First off in the water pollution facts is, what is water pollution? Water pollution is the contamination of water bodies, such as: lakes, rivers, oceans, and groundwater. It is a form of environmental degradation which occurs when pollutants are directly or indirectly introduced into the bodies of water. Water pollution affects the entire biosphere. Any living organism relies on water to survive. In almost every instance of water pollution, the effects are not only damaging to the species, but also the whole ecosystem. Water pollution has been documented as a contributor to a wide range of health problems in humans. It has also been shown to have drastic negative impacts on the wild animals and the environment as a whole. The causes as well as the effects are widespread. One of the most important water pollution facts to understand are the causes. Waste and other contaminants have lead to a serious environmental issue, water pollution. There are many causes that contribute to water pollution as well. One of the biggest issues, especially in third world countries is sewage. With improper sewage systems, sewage will often be dumped into rivers, as a means of disposal. In other areas, sewage from households, factories and other places is sent through a treated in water treatment plants. However, those plants often dispose of the sewage in the oceans. It can be even more problematic when people flush chemicals and pharmaceutical substances down the toilet. Of course, the second largest contributor is solid waste, or litter. Any trash that does not get recycled, has the potential to end up in our lakes, rivers, oceans and whatever other waters. Industrial waste from factories and plants is another issue. Often, freshwater can wash pollutants like asbestos, lead, mercury, and petrochemicals from the factories into rivers and other areas. Fossil fuels are also a big cause of water pollution. Not just the burning of those fuels, which causes the formation of acidic particles in the air, creating acid rain. But also oil spills. Since oil does not dissolve in water, it sits on the top of the water. This prevents sunlight from reaching the lower regions of the water, as well as choking the fish and other animals. In addition, increase of water temperature, known as thermal pollution, also greatly affects the ecosystem and the various species that inhabit it. There are many issues surrounding water pollution. It is important to know these facts on water pollution because, by knowing them, you can help solve and reverse the effects. It begins with us, it can end with us. The following are US water pollution statistics and other water pollution facts. Over ⅔ of the U.S. estuaries and bays are severely degraded because of nitrogen and phosphorus pollution. 45% of U.S. streams, 47% of lakes, and 32% of bays contain pollution. A serious issue among water pollution facts is river pollution. 40% of the rivers in the U.S. are too polluted for fishing or swimming. If they are too polluted for recreational activities, imagine the species living in those rivers. Over 46% of lakes are too polluted, the same as the rivers. Almost 25% of beaches in the U.S. are closed due to pollution, every year. Pesticides are as harmful for the waters as they are for the land. Americans use over 2.2 billion pounds of pesticides every year. In fact, over 73 different kinds have been found in the groundwater. Remember, polluted groundwater eventually ends up in our drinking water, unless properly filtered. The Mississippi River contains almost 1.5 metric tons of nitrogen pollution. This pollution ends up in the Gulf of Mexico and creates a dead zone the size of Massachusetts every year. Over 1.2 trillion gallons of untreated sewage, groundwater, and industrial waste are discharged into the U.S. waters every year. In 2010, BP experienced a huge oil spill. 125 miles across the Louisiana coast was covered. This spill was reported to have killed over 1,000 animals including birds, turtles and other mammals, many of which are on the endangered animals list. Of the animals that were affected that are still alive, only 6% have been cleaned. But even they are expected to die soon as well. Of course, there is water pollution all over the world. According to the World Economic Forum, rising water pollution is the foremost global risk in terms of its potentially devastating impact on society. The following are statistics of world pollution in the world, as well as other fun facts about water pollution. Eutrophication caused by agricultural, sewage, animal, human, and industrial runoff, results in excessive concentrations of nutrients such as phosphorus and nitrogen. Of course, nutrients are needed in the water and the Earth. However, too much of a good thing can be a bad thing. If you throw off the natural balance, the ecosystems have a hard time adapting. Eutrophication results in increased depletion of plant and animal life due to lack of oxygen, created in dead zones. Lakes and reservoirs, two major freshwater courses, are very prone to the negative impacts of this. This is due to their proximity of pollutant-generating sources and the stillness of the water. Medical products and personal care products are often washed into freshwater sources, creating an increase in pollution. They can cause a hormone imbalance in the humans and animals who either drink or live in that water. 2 million tons of sewage is disposed of into the world’s water bodies daily. 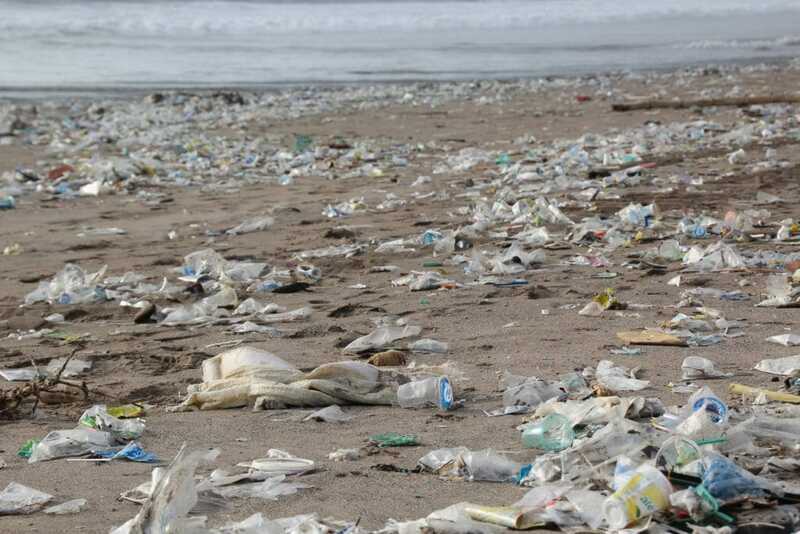 Annually, 12 billion pounds of garbage, containing mainly plastic, is thrown into the world’s oceans. This causes great harm to marine life. Part of the China river pollution facts, China’s largest river and the world’s 3rd largest river, The Yangtze River, contains about 25 billions tons of sewage and industrial waste. Also, at least 70% of the rivers in China are polluted, more than half are unsuitable for human use. Continuing the china water pollution facts, at least 320 million people in China do not have access to clean drinking water. 2.4 billion people all over the world are without proper sanitation facilities. Roughly 946 million people are forced live in unsanitary conditions, having to dump sewage in public areas or near bodies of water. Also, 10% of the global population consume food grown using wastewater. With the scarcity of fresh, drinkable water, some people have opted to not use water to for hygiene. This can lead to an outbreak of diseases like diarrhea, dysentery, cholera, typhoid, and polio. About 842,000 people, 361,000 of them being children under 5 years old, die from diarrhea every year. According to UNICEF, 3,000 or more children die every day, all over the world, from drinking contaminated water. Currently, 40% of the world’s population is facing water scarcity. 1.7 billion people are living in river basins where water usage exceeds the renewal of water. Polluted drinking water is a problem for half of the world’s population. 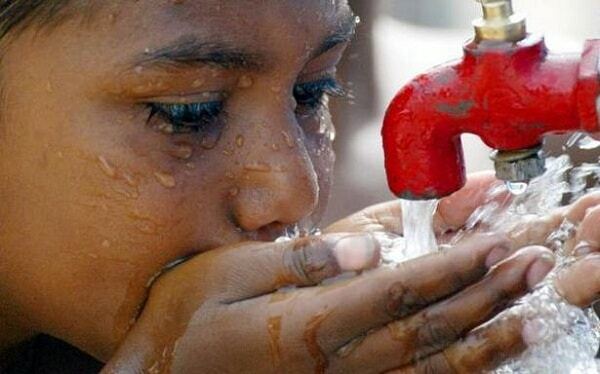 There are about 250 million cases of water based diseases every year, resulting in 5 to 10 million deaths. Close to 85% of the total area of Bangladesh has polluted groundwater, the most dangerous contaminant being arsenic. 1.2 billion people in this area are exposed to the arsenic contaminated water. Asian rivers are considered the most polluted in the world. They have 3 times as many bacteria from human waste as the global average and 20 times more lead than rivers in industrialized countries. In Ireland, about 30% of the rivers are polluted from fertilizers and sewage. This makes them much too hazardous for any recreational activities. The King River in Australia, is one of the most polluted rivers in the world. Over 1 million sea birds, 100,000 marine animals, and other creatures have died from toxins and acidity in the river. The U.N. estimates that by 2025, 48 nations will face freshwater scarcity. That will be 2.8 billion people without freshwater. With all of the causes of water pollution, of course come the effects on the environment and human health. Here are some of the effects of water pollution facts, that it is having on our environment. Groundwater pollution from pesticides causes reproductive damage to the wildlife in the contaminated ecosystem. Sewage, fertilizer and agricultural runoff contain organic materials that when introduced into the waters, increase the growth of algae. This new plant life depletes a lot of the oxygen in the water. The organisms in the ecosystem are not able to survive in the low oxygen environment and therefore the whole ecosystem gets thrown off balance. Swimming in and drinking polluted water can cause various health issues. These issues include: skin rashes, cancer, reproductive problems, typhoid fever, and some stomach sickness. Industrial chemicals and agricultural pesticides that end up in the water are then consumed by the marine life, thus later eaten by humans. Mercury poisoning is a serious issue when eating fish. Fish are very vulnerable to heavy metals in the water. Mercury has been found to interfere with the development of the nervous system in fetuses and young children. 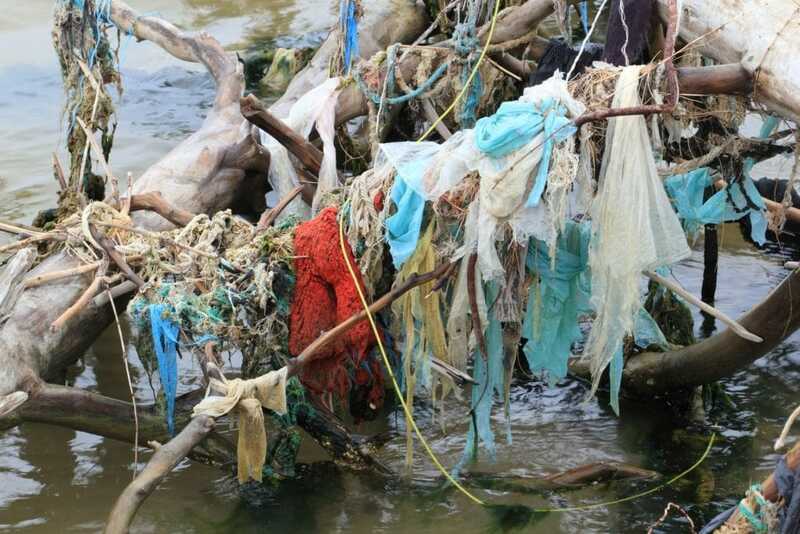 Plastic waste in the waters can get caught on the fish and other creatures and suffocate them. Soda can rings can also get caught around the necks of some animals. You’ve seen Happy Feet. Water pollution can cause flooding due to the accumulation of waste and soil erosion from streams and rivers. Oil spills are especially damaging to the wildlife because the animals can ingest the oil which will poison them. Also, oil is extremely hard to remove and can trap some animals and suffocate them. One of the very important water pollution facts is that thermal pollution is a growing problem. While the popular belief may be that thermal pollution affects only fish, that is not the case. Fish are vital to the entire ecosystem, hence when they are in danger, the entire system is in danger. Thermal pollution also stimulates the digestive system of aquatic animals, making them consume more food in shorter periods of time. This can cause food shortages along with slowing the fish breeding because small fish are eaten away by larger fish in a much larger quantity. This leads to another very harmful effect on the ecosystem as a whole, loss of biodiversity. Biodiversity is the amount of diverse species in a specific ecosystem. Each species has its own role to play in the ecosystem. With the loss of one species, the whole ecosystem is thrown into disarray. The effects might seem irreversible, but they are not. Of course it is hard for the normal, everyday man and woman to do much about reversing the effects of water pollution, but there are things you can do to prevent it. Recycling your plastic, glass, paper, etc. is a big step. Recycling reduces the size of landfills and also reduces how much solid waste ends up in the waters. You can also start buying organic. This helps to lower funding for factory farms and other farms that actively use fertilizers and pesticides. Also, be mindful of how much water you are using. Reducing water is a good way to prevent further freshwater scarcity. In terms of repairing the damage already done, there is a practice being used by many companies. This is called bioremediation. This is done by introducing nutrients and bacteria into the soil or water that helps to clear away the pollutants that currently reside in the specific ecosystem. Even Mother Nature needs help sometimes. Instead of using chemicals that can further harm the Earth, why not use what is already available.